Embodied learning (think Xbox Kinect) literally connects students’ actions to learning, making the classroom experience more engaging and interesting. 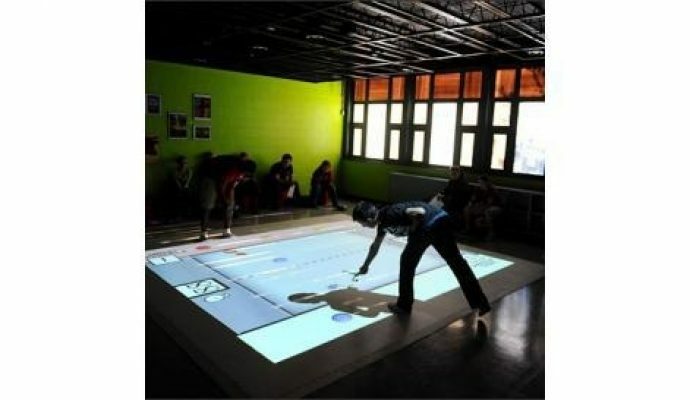 For example, motion-capture technology tracks students’ 3D movements in an immersive, interactive space. As students learn about a physics concept like velocity, they can hear the sound of their actions getting faster. They can see graphs and equations that represent their motions in real time. They can feel the weight of an object in their hand as they interact in real physical space. Their physical gestures help them to understand the content in a deeper manner. Particle Predator Scenario is a two-player game where students learn about systems. Students grab particles and “throw” them into space, and make observations about the particles. The particles interact according to student-designed rule sets. Projectile Flight Graph Scenario explores the impact of gravity, starting height, and starting vertical velocity on the flight of projectiles. Students use a swinging gesture to “strike” the virtual ball on a T stand, which flies through the space. The 3D position is plotted in real time. The scenario can configure multiple gravitational fields allowing students to compare the behavior of physical objects dropped in the lab to virtual objects dropped on different planets. Common Core State Standards: All content aligns with Common Core Math Standards and National Science Standards. Research shows SMALLab’s positive impact on student learning when compared to regular classroom instruction. Multiple classes in an urban high school randomly received either SMALLab or regular instruction first. Students took the mid-test and then the order of intervention switched. Students took the content test three times—pretest, mid-test and post-test—during the six-day study. 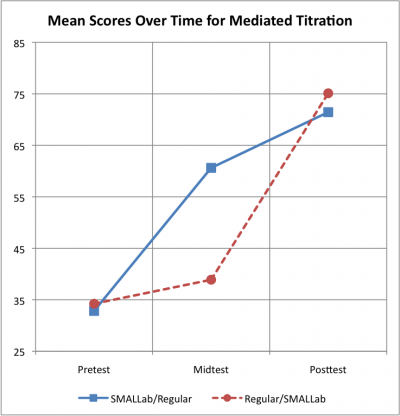 Videotaped learning sessions showed substantially higher student-driven utterances in SMALLab when compared to the same students learning with their teacher in their regular classroom. The videotapes noted a marked increase in the number of student-to-student and student-to-teacher discussions during SMALLab. SMALLab and partner Arizona State University used NGLC funding to deliver a set of seven embodied learning scenarios and an eight-day curriculum to two schools. The team trained four teachers how to use the scenarios and approximately 220 students participated in the pilot. Since the project, SMALLab commercialized several enhanced learning scenarios and an embodied learning environment, available at the SMALLabLearning website. Long Term Goal: To demonstrate how SMALLab can invigorate learning about simple machines as a means to ultimately improve graduation rates and encourage greater interest in math and science careers.